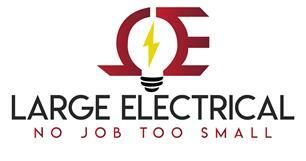 Large Electrical - Electrician based in Bognor Regis, West Sussex. My name is Mark Large, I am a sole trader who established the company July 2017. With over 10 years’ experience in the Electrical Industry, we can cover all your Electrical needs. I offer a prompt, reliable and friendly service focusing on great Customer Service – take a look at what my previous customers have to say Click Here.